Many thanks for another great application post in your respectful site. Please tell me how to run Azureus on Java Portable ? Simply extract both in default folders. After Java's latest automatic update I keep getting "Java Runtime not found". 1)Restoring a restore point on Win8.1 to get older versions back. That did not work. 2)Installing a copy of Portable Azureus onto itself in attempt to repair it. 3)Installing a separate copy elsewhere on my computer as a fresh install, same error. 4)Uninstalling and reinstalling a fresh install from a trusted source. Hopefully you can fix this soon. But launcher search installed Java only for 1.6 and 1.7 version. Thanks for the fix... I am trying now. It is still not working. I have both 32/64bit versions installed and verified. Also I should add I am running Portable Azureus from folders on my PC and not on a stick or removeable drive. "Java Runtime Envirorment Portable or Installed not found!" In fact the launcher can't detect 64 bit installed Java (no time to fix). Create a PortableApps folder at the root of your drive and let both installers (Azureus and Java) use default paths. Thanks for the help, it is working again. Also thanks for the work maintaining this useful piece of kit. Same problem here, any step by step guide for dummy. Look at the post above the post above the post before you. You have to download the portable version of Java on this website. You make a folder called "PorableApps". In that folder you put the Portable Java into a folder in PortableApps called "CommonFiles"
You then put a folder with the version of Portable Azureus in a folder under PortableApps. Then all you have to do is run the Portable Azureus executable and it should find and use the Portable Java automatically. If you are putting it on a removable drive like a thumbdrive that is going to be used on several computers use the 32 bit version for compatability and remember you have to use the same Portable Java bit version as Portable Azureus. Once the maintainers fix the problem I was having, you don't need to use Portable Java if the machine you are using it on already has it installed, so you can then put it anywhere you want. In this latest version, launcher should detect installed java 64 bit if portable not found in CommonFiles\Java_64 or CommonFiles\Java64 (nsis source line 85-105). I'm not using on a removable drive, running 64 bit Win 8.1. Though I backup all my Portable on one. Uninstall my Java long ago. I already have a Portable Java Common Folder updated through Portableapps.com. I already have a Portable Vuze from somewhere else, can't remember where. 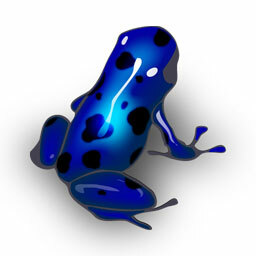 I extract Azureus 5.6.0.0 32-64 bit, then copy and paste it in my Portable Vuze. What I usually do for all other Portable. Everytime I update it I got a couple of error message. So I resist update for sometime now. "exe4j_java_home environment variable does not point to a working 64-bit jdk or jre"
"the jvm found at exe4j_java_home is damaged. Please reinstall or define exe4j_java_home to point to an installed 64-bit jdk or jre"
"The JVM could not be started. The maximum heap size (-Xmx) might be too large or an antivirus or firmware tool could block the execution." Current 3 site I got my apps from are Portableapps.com, Jooseng site and my fav now defunct portablexapps.blogspot.com who offer it in .paf format for dummy like me. Report your problem on site where you got previous version of Vuze. My current vuze show the portableappz.blogspot logo splash when I launch it, so I guess its from this site. "I extract Azureus 5.6.0.0 32-64 bit, then copy and paste it in my Portable Vuze"
I have downloaded both java & vuze Portable in to a specific folder. Now please guide me how to run the same. It works well with newer java8 portable even with custom paths (respecting the folder structure \common files\java_x64 its however mandatory for java). - seems impossible to set file associations for the portable. Hi, where is the download link for Java Portable?